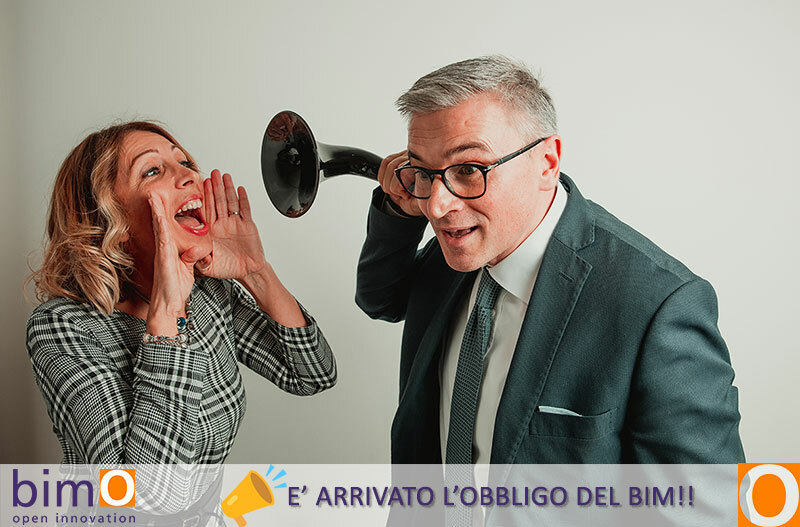 bimO – open innovation | The obligation of BIM has arrived in Italy !!! The obligation of BIM has arrived in Italy !!! From 1 January this year, the obligation to use electronic modeling methods and tools for public works, BIM Building Information Modeling, will be required. The obligation for 2019 is for works of an amount equal to or higher than 100 million euro, and then gradually for smaller amounts starting from the following years up to works worth less than 1 million euro, for which the term runs from 1 January 2025.
bimO open innovation offers BIM services dedicated to Construction Companies that need to digitize their production processes: BIM for construction sites, BIM and time management and WBS 5D, BIM and 5D Computation, BIM and cash management financial flow of the order.